It’s been awhile since we heard anything from the folks over at thinksound. Makers of quality consumer headphones they feel are more environmentally friendly than most others on the market, the company has announced a new on-ear design aiming for a higher end audience at its price point of nearly $300. The On1 spura-aural monitor, according to thinksound, is said to be assembled at least in part from renewable, recyclable resources like wood and aluminum, and features PVC-free cables. The packaging it comes in is made from recycled cardboard and eliminates the common plastic pieces normally associated with headphone packaging. 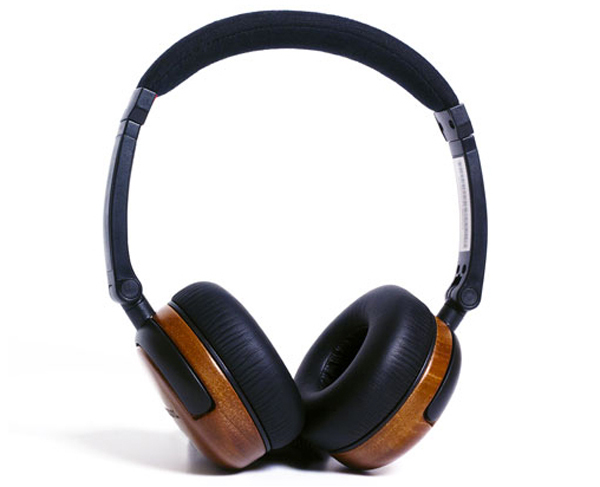 Features of the On1 include an enhanced 40mm speaker driver with upgraded acoustics, the natural wood finish, memory foam ear pads and two sets of detachable Kevlar reinforced, tangle resistant fabric cables. One of the cables is a standard 4.5′, while the other includes a microphone with single button control for smartphone use. All of this can be carried in the included cotton carrying pouch.